A native of Bogotà, Colombia, Daniel holds a BFA from Folkwang-University of the ArtS in Essen-Germany. He appeared as guest artist in Pina Bausch’s masterpieces, Rite of Spring and Tannhäuser. Daniel was a soloist for the Jose Limon Dance Company (2006-2016), where he danced dancing many of Limon's solos and master works. Daniel also danced in works by Jiří Kylián, Susane Linke, Rodrigo Pederneiras/Grupo Corpo, Lar Luvovitch, Anna Sokolow and Doris Humphrey. Daniel is a regissuer of the Limon repertory and master teacher of the Limon modern dance technique. He has served on faculty with the Limon Institute and is the founding member of Limon4Kids program. Daniel is the founder/artistic director of two NYC based companies: Pajarillo Pinta’o and D-Moves. Pajarrillo Pinta’o preserves and promotes Colombian traditional dances through performance and workshops, and D-Moves focuses on contemporary dance projects that combine Colombian traditions dance forms, modern dance and German TanzTheater. Daniel is a longtime collaborator with Colombian musician/composer Pablo Mayor. Together, they created "Amalgama," "El Barrio Project" and an educational residency entitled, “Cumbia For Kids/Cumbia For All.” Since 2008, Daniel worked with Native Choreographer Rosalie Jones/Day Star in "Wolf: A Transformation." He helps preserve, promote and perform this work. In thanks to Colombia’s La Espiral foundation, Daniel created a training project for dancers to study Limon technique and repertory through workshops since 2009. Daniel is currently a resident choreographer and board member of ID Studio Theatre, a not-for-profit organization led by Colombian actor German Jaramillo. He is also a resident choreographer at Teatro SEA, directed by Manuel Moran, creating works for "Sueño," a Caribbean adaption of Shakespeare’s Midsummer Night Dream, "La Gloria: A Latin Cabaret." 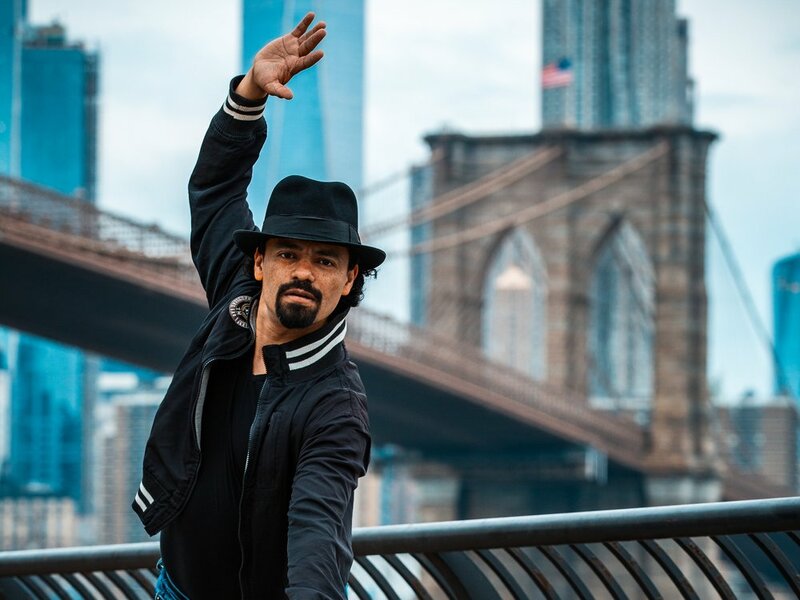 Daniel recently won a HOLA award for Best Choreography for “La Gloria.” Other choreographic commissions include works for the Connecticut Ballet, Opera Hispanica and Universidad Distrital of Bogotá. Other grants include Harlem Stage Fund for New Work and National Association for Latino Arts and Culture (NALAC) Funds for the Arts.